Unfortunately, the ‘trends’ or ‘conclusions’ that are the resultant benefits of the use of visual representation are communicated poorly within the REA as a whole. There are a number of reasons for this. The first is that there is a seeming discontinuity among the chapters and specific data given in those chapters. 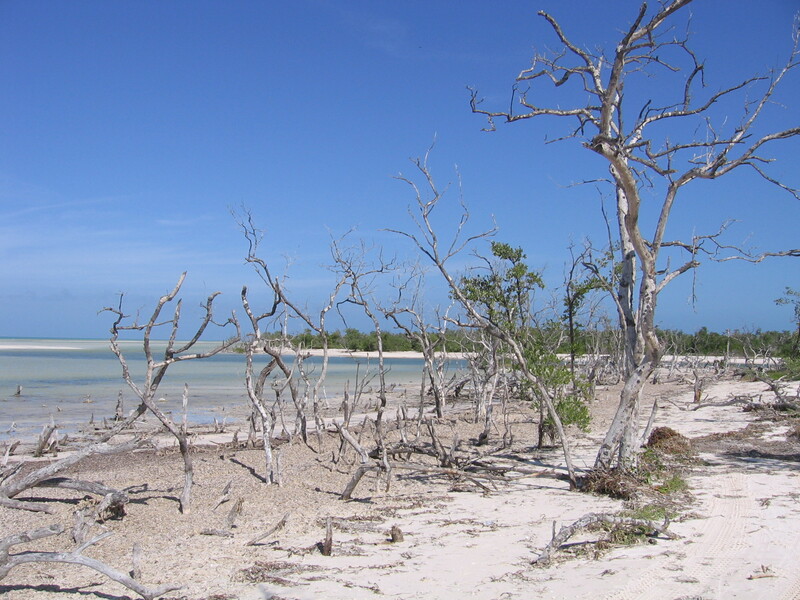 For example, the REA gives a great amount of data regarding both the benefits of nearby natural habitat and increased health, and provides information about the distribution of nearby natural habitat in a number of communities. We thought that a very beneficial correlation could be witnessed if there was some information about the relative health of certain communities. Specifically, we were looking for, perhaps, cost of medical expenditures or number and types of diseases in specific locals (if that kind of data is even available). However, the information provided under the ‘Health’ chapter is titled as such: ‘Percent Sidewalk Coverage around Schools [Map 6-1, p. 71],’ ‘Access to Grocery or Natural Food Stores [Map 6-2, p. 73],’ and ‘Diesel Particulates [Map 6-4, p. 76].’ Although this data may be independently useful, they don’t really ‘paint a picture’ of general health. We found this to be the case across the board; i.e., correlation was lacking between maps and, again, there is a seeming discontinuity among the chapters. 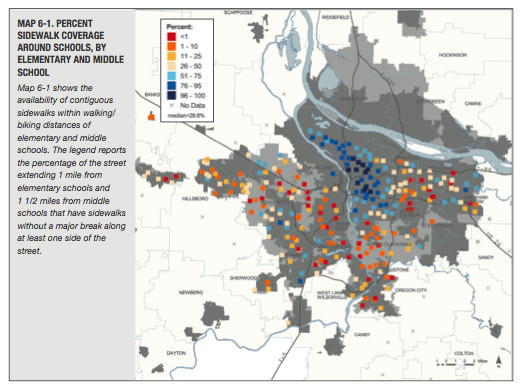 Map 6-1: Percent Sidewalk Coverage Around Schools, by Elementary and Middle School. 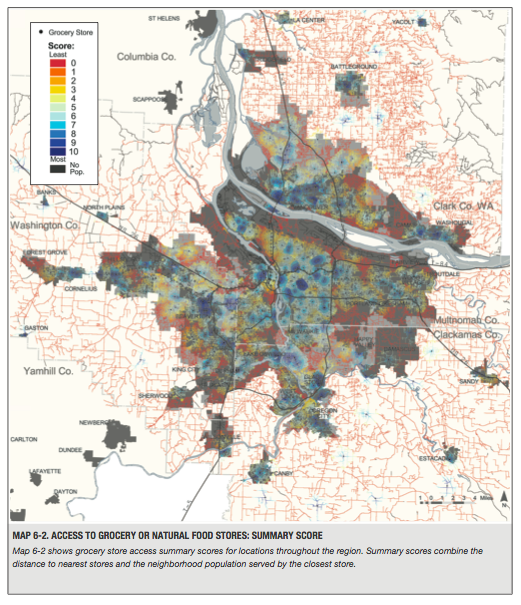 Map 6-2: Access to Grocery or Natural Food Stores: Summary Score. 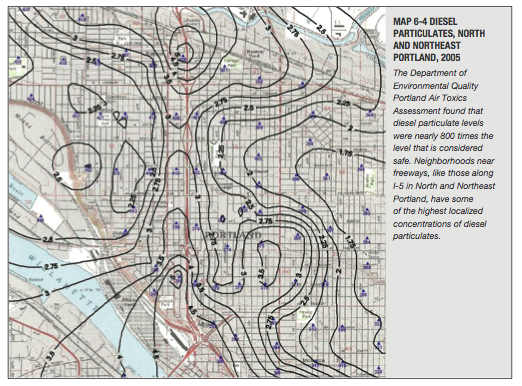 Map 6-4: Diesel Particulates, North and Northeast Portland, 2005. A further consequence of this discontinuity is that causal claims regarding the situations exemplified by the given distributions are thereby impossible. We feel that consequential causal claims are the most important and beneficial types of available results of analysis that can be provided by such maps. The lack of continuity entails that this option is not available in the most general sense in the REA. There is one case in which we found a helpful correlation among many different areas of information and across almost all of the available chapters. We feel that it is important to be able to see that this area has the highest concentration of African-Americans and this area is affected negatively in the ways listed by certain maps in particular. More specifically, we noticed that this area [North and adjacent portions of NE Portland] is that which has the lowest access to natural habitats, had lowest teacher training and experience in the region, had the greatest increase in living costs for single-family homes from 1995-2004, and has the highest rate of children in poverty. We feel that recognition of these correlations is important and informative. The highest concentration of African-Americans living in Portland live in this area. It seems as though a high number of African-Americans are facing the aforementioned problems in the most direct manner and are, therefore, the group which are most deprived of equity. But again, there is no possibility of making causal claims in regards to this data, because we don’t know why these situations are as they are, and therefore, have no idea how to change them. Also, we found that there are a few maps which indicate that these problems are being assuaged in the following ways. We found that between 1990 and 2000 the rate of child poverty has decreased at the highest rate in the metro region in North and Northeast Portland, and that this part of Portland also has the lowest student-teacher ratio in the region as well. These are normally looked upon as positive (and presumably so in regards to sustainability). Subsequent research into the causes of the ‘problems’ that are exemplified by those maps may be incorporated into future revisions of the REA and thus provide possibilities for causal claims. Understanding these correlations may eventually lead to the development of solutions. But, so far as this supplementary information is lacking in the REA, the information it provides lacks the (apparent) initial appeal that is suggested by the use of visual representationnamely, using the information to generate solutions to equity issues. Regional Equity Atlas, Portland, Oreg. : Coalition for a Livable Future, 2007. Frixione, Marcello. “’Linguistic’ vs. ‘Non-Linguistic’ Representations: On the Nature of the Theoretical Constructs of Cognitive Science,” Proceedings, Third Italo-German Analytic Philosophy Colloquium, Florence: November 29th – December 1st, 2001. These specific maps in the REA include: “Map 2-5 2000: Distribution, African Americans”; “Map 2-11b 2000: Distribution: Children in Poverty”; “Map 2-12 Change 1990-2000: Distribution: Children in Poverty”; “Map 3-3 Percent Change: 1995-2004 Sale Price Single-Family Homes”; “Map 4-3 Access to Teacher Training and Experience by Neighborhood”; “Map 4-6b AY 2003: Student-Teacher Ratio by School”; “Map 7-6 Nature Nearby: Percentage of Population within a 1/4 –Mile of Natural Habitat”. Editor’s Note: For more information on the history of the social, political, and economic factors contributing to the concentration of African Americans in North and Northeast Portland, see, for example, City of Portland Bureau of Planning, “The History of Portland’s African American Community (1805 to the Present),” Feb. 1993; Martha Gies and Jules Boykoff, “‘We’re going to defend ourselves’: The Portland Chapter of the Black Panther Party & Local Media Response,” Oregon Historical Quarterly 111: 3 (Fall 2010), pp. 278-311; and Ethan Johnson and Felicia Williams, Desegregation and Multiculturalism in the Portland Public Schools,” Oregon Historical Quarterly 111: 1 (Spring 2010), pp. 6-37, among others.